She has white-blonde hair and long, thin legs. 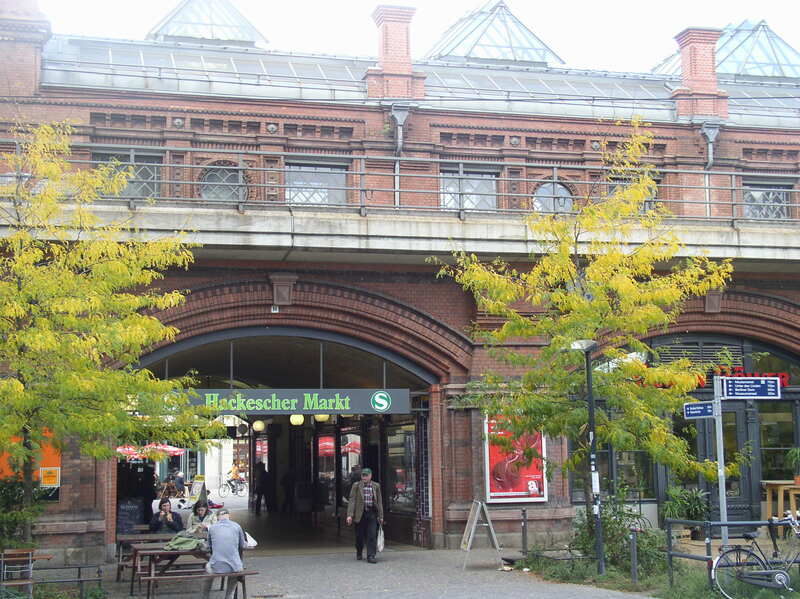 She stands by the red-brick buildings of Hackesher Markt. She wears white leather hot pants, tan coloured tights and furry white snow boots. Her cleavage is pushed up by a skin-tight leather jacket, which she keeps half unzipped. She has red lips and cool, blue eyes. Last Saturday night, it snowed in Berlin. She watched a group of Italian men walk up the street. She stood in their way and smiled, casting her eyes up and down their bodies. First they were uncomfortable, then aroused. She put her arms around one and pushed her body towards his. She pressed her breasts to his chest. All the time, she took sidelong glances at his friends. The snowflakes were sticking to her hair. She was cold. She sells sour dough bread and pastries at a bakery at an underground station and her red uniform includes a crumpled tie. She has an old-fashioned kind of face, which refuses to be offset by her hoopy silver earrings, lip piercing and the two thick black scrunchies, which hold back her wavy hair. When she serves customers, she is upbeat. There is something naive in her face which I am drawn to. I think she would flair up at injustice and I think that she is happy in her job. Once when I was eating a Nussecke and sipping on a latté at the bakery, I saw her chat quietly to a colleague. The tone was conspiratorial. It surprised me. She could be a child but she is not. She is small and has big brown eyes and dark curly hair. She lives at the entrance to my underground station with homeless men and their giant dogs. Her voice rings in my ears. She says the same thing every day. “Tickets please?”. (Fahrscheine bitte?”). She says it like she is a bored train conductor, but really she is a bored homeless person collecting tickets to sell on. She’s not on drugs because her eyes, while large and droopy are alert. She wears puffy clothes from the 80s and she works much harder collecting tickets than her male friends. This entry was posted in Uncategorized and tagged Berlin, German society, Kate Ferguson, Life, People, Pictures, snapshots, Society, Writing by Kate Katharina. Bookmark the permalink. What happened to the fourth woman? I was reading halfway and suddenly I came right to the end! Engaging read – you have a good descriptive style and infused with your thoughts, the women seems to reflect strong personalities of their own! Have you ever wondered in how many lives you have a place without your knowledge? Wouldn’t it be interesting to describe yourself as being watched by somebody else? You managed fascinating glimpses into other people’s lives.